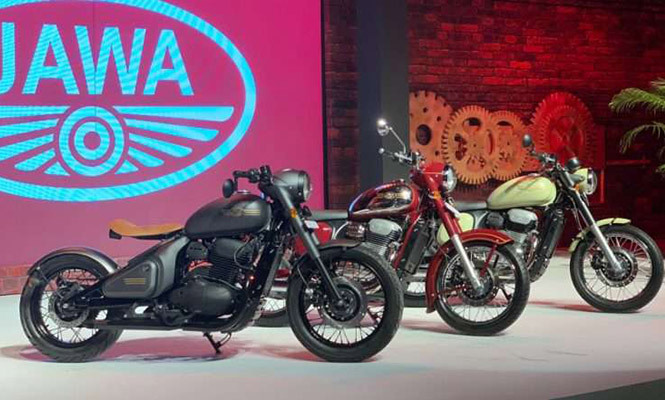 Jawa Motorcycles, a discontinued German automaker has once again marked its presence in the automotive industry, under the umbrella of Classic legends, a Mahindra & Mahindra subsidiary. The automaker showcased three models in front of global audience consisting a Classic, Sport and Bobber model. 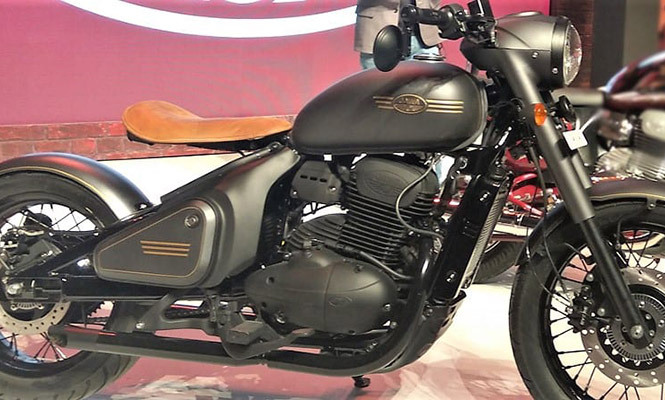 Out of these the Classic and Sport version namely Jawa and the Jawa Forty Two respectively has been launched. Whereas, the Bobber trim will launch later. However, the pricing for the same has been revealed at INR 1.89 lakhs (ex-Delhi). The Jawa is a pure retro-classic seems put on sale straight from the 70’s but with modern touches. As the company intended to keep bike’s designing close to the original as much as possible. In terms of styling, the motorcycle gets cues such as large fenders, dual tone-fuel tank with chrome work and an airbox that looks akin to one was being provided with the original Jawa 350 was on sale in India in between 1970s and the 80s. The upfront forks shrouds also go with the retro-themed classic design of the old Jawas, extending all the way to the instrument console. The Jawa 42 that is another yet Sport model from Jawa Motorcycles costs INR 1.55 lakh (ex-Delhi). It also wears the similar design of the Classic Jawa though receives a host of components which offers a sporty appearance to the bike. Comprising the blacked out front forks, an off-set instrument console and a round shaped halogen-lit headlamp. Last but not the least is the Jawa Perak that is a factory custom Bobber. It is priced at Rs 1.89 lakh (ex-Delhi). However will go on sale by early next year. The bookings for the same are also expected to start in the later phase of launching as the motorcycle is not launched in market yet. Beneath the fuel tank, the Perak get a different yet more powerful 334cc, liquid-cooled, single-cylinder DOHC engine than the 293cc, liquid-cooled, single-cylinder motor of other two models. The bigger engine is capable of rolling out the peak power if 30.4PS and 31 NM. While the lowered version pumps out 27PS and 28Nm respectively. Altogether, as claimed from company’s end, the motor is reliable for providing seamless power delivery throughout the rev-range. If the exhaust note of the new Jawa considered, it is similar throaty as of the original Jawa standard but with brassy grunt. Thanks to Classic Legends engineers, as they managed to generate such sound from a four-stroke motor. Among the cycleparts, there is telescopic forks upfront and dual shock absorbers with 5-step preload adjustability at the rear. The Jawa bikes stands on wire-spoke wheels wrapped up with MRF Nylogrip Zapper C tyres measuring 90/90-18 at front and 130/80-17 at rear. While, the braking is the responsibility of 280mm disc at front and a 153 rear disc with single-channel ABS. The seat height stands at 765mm that is comfortable for most riders. The Jawa 300 has the fuel tank capacity of 14 litres and weighs 170kg (Kerb Weight). The underpinned frame on which the new Jawa motorcycles are based is the one on which several segments can be crafted with host of modifications. It supported bike maker in rolling out Sport and Bobber offerings with 300cc engine. The time when the market is seeing growth in segment with multiple options available in the market. 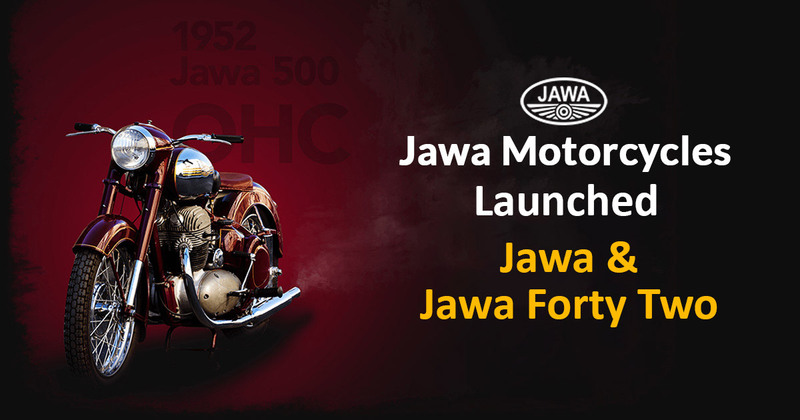 The colour options for the Jawa Classic are Jawa Black, Jawa Maroon and Jawa Grey. While, the Jawa 42 is available to choose from available 6 colours including Hallys Teal, Galactic Green, Starlight Blue, Lumos Lime, Nebula Blue and Comet Red. For the models such as the Jawa Classic and the Jawa Forty Two has commenced online on website: Jawamotorcycles.com. While for the model Perak, it is anticipated to start later in time. Here in India, the company will begin its operations from 5 5th December 2018 onwards and deliveries will take place afterwards in early January 2019.